An MIT-led research team reversed age-related endurance loss in mice by treating them with a compound that promotes new blood vessel growth. A MIT study suggests new method for boosting growth of blood vessels and muscle. Activating proteins linked to longevity may help to increase endurance and combat frailty in the elderly. As we get older, our endurance declines, in part because our blood vessels lose some of their capacity to deliver oxygen and nutrients to muscle tissue. An MIT-led research team has now found that it can reverse this age-related endurance loss in mice by treating them with a compound that promotes new blood vessel growth. The study found that the compound, which re-activates longevity-linked proteins called sirtuins, promotes the growth of blood vessels and muscle, boosting the endurance of elderly mice by up to 80 percent. The first author of the paper, which appears in Cell on March 22, is Abhirup Das, a former postdoc in Guarente’s lab who is now at the University of New South Wales in Australia. Other senior authors of the paper are David Sinclair, a professor at Harvard Medical School and the University of New South Wales, and Zolt Arany, a professor at the University of Pennsylvania. In the early 1990s, Guarente discovered that sirtuins, a class of proteins found in nearly all animals, protect against the effects of aging in yeast. Since then, similar effects have been seen in many other organisms. 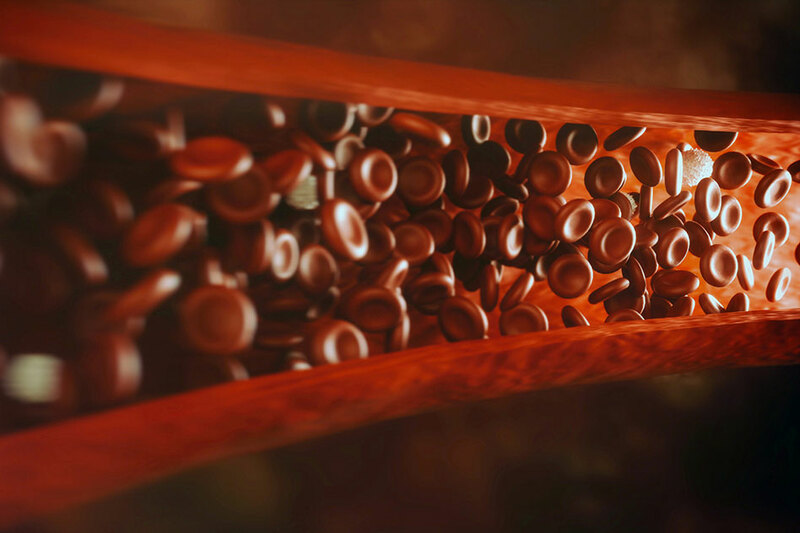 In their latest study, Guarente and his colleagues decided to explore the role of sirtuins in endothelial cells, which line the inside of blood vessels. To do that, they deleted the gene for SIRT1, which encodes the major mammalian sirtuin, in endothelial cells of mice. They found that at 6 months of age, these mice had reduced capillary density and could run only half as far as normal 6-month-old mice. The researchers then decided to see what would happen if they boosted sirtuin levels in normal mice as they aged. They treated the mice with a compound called NMN, which is a precursor to NAD, a coenzyme that activates SIRT1. NAD levels normally drop as animals age, which is believed to be caused by a combination of reduced NAD production and faster NAD degradation. After 18-month-old mice were treated with NMN for two months, their capillary density was restored to levels typically seen in young mice, and they experienced a 56 to 80 percent improvement in endurance. Beneficial effects were also seen in mice up to 32 months of age (comparable to humans in their 80s). These effects were enhanced when the researchers treated the mice with both NMN and hydrogen sulfide, another sirtuin activator. The researchers also found that SIRT1 activity in endothelial cells is critical for the beneficial effects of exercise in young mice. In mice, exercise generally stimulates growth of new blood vessels and boosts muscle mass. However, when the researchers knocked out SIRT1 in endothelial cells of 10-month-old mice, then put them on a four-week treadmill running program, they found that the exercise did not produce the same gains seen in normal 10-month-old mice on the same training plan. If validated in humans, the findings would suggest that boosting sirtuin levels may help older people retain their muscle mass with exercise, Guarente says. Studies in humans have shown that age-related muscle loss can be partially staved off with exercise, especially weight training. “What this paper would suggest is that you may actually be able to rescue muscle mass in an aging population by this kind of intervention with an NAD precursor,” Guarente says. In 2014, Guarente started a company called Elysium Health, which sells a dietary supplement containing a different precursor of NAD, known as NR, as well as a compound called pterostilbene, which is an activator of SIRT1. The research was funded by the Glenn Foundation for Medical Research, the Sinclair Gift Fund, a gift from Edward Schulak, and the National Institutes of Health. Be the first to comment on "New Method Boosts Blood Vessel and Muscle Growth"